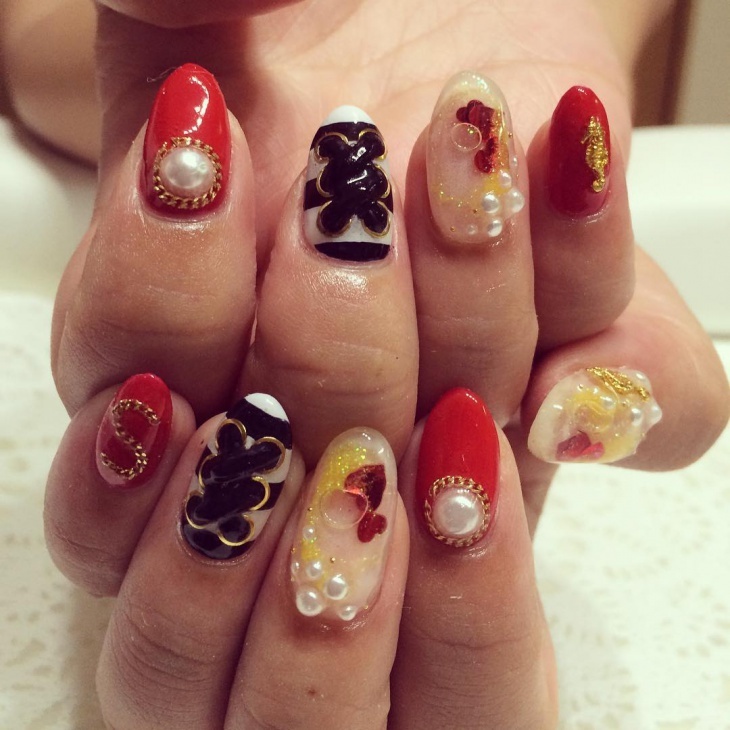 The pearl nail art trend is catching up like fire! 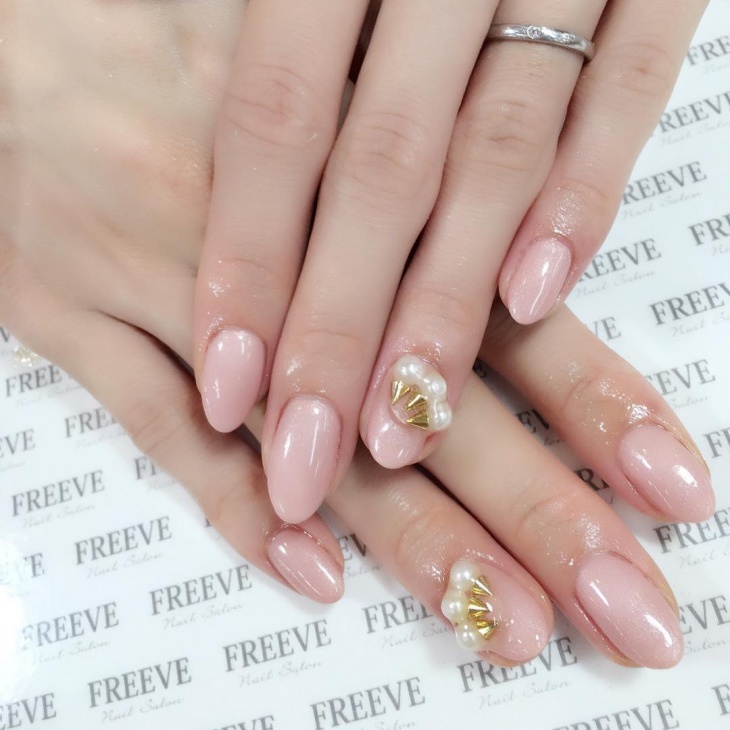 One of the reasons why this nail art is so popular is that it’s high on the elegance quotient. Pearls can make any dress or accessory look elegant. All things pearly have the attribute of daintiness. 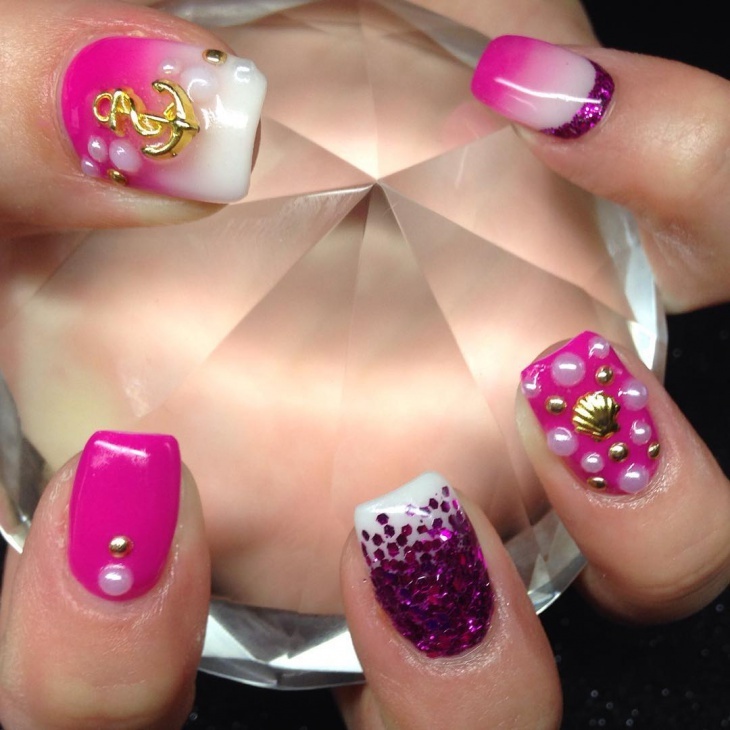 Pearl nail art design is usually done on a pastel coat of nail color and refined embellishments. 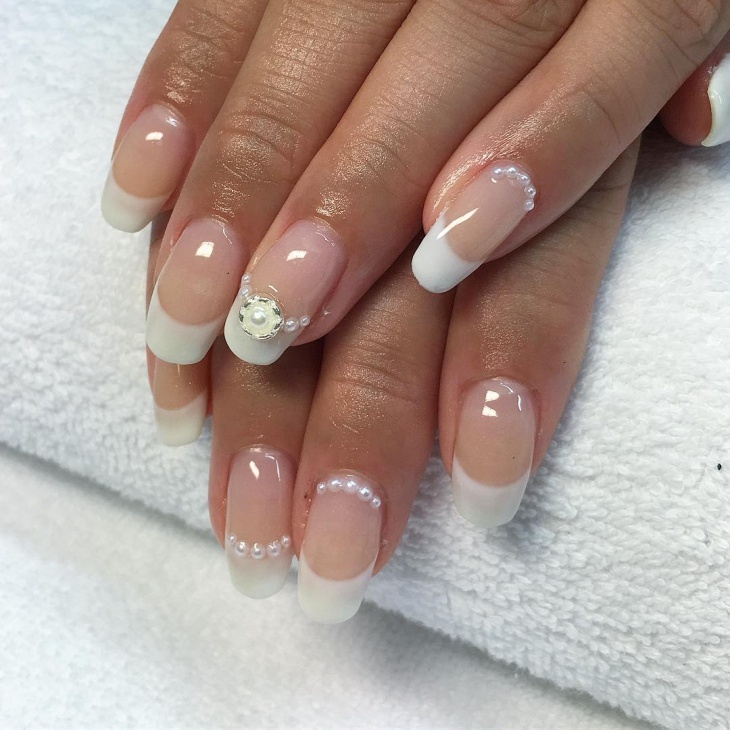 Wedding nail designs are in, with all the pearly and lacy details thrown in! This nail finish has the lightest shade of mauve and a gloss on it. 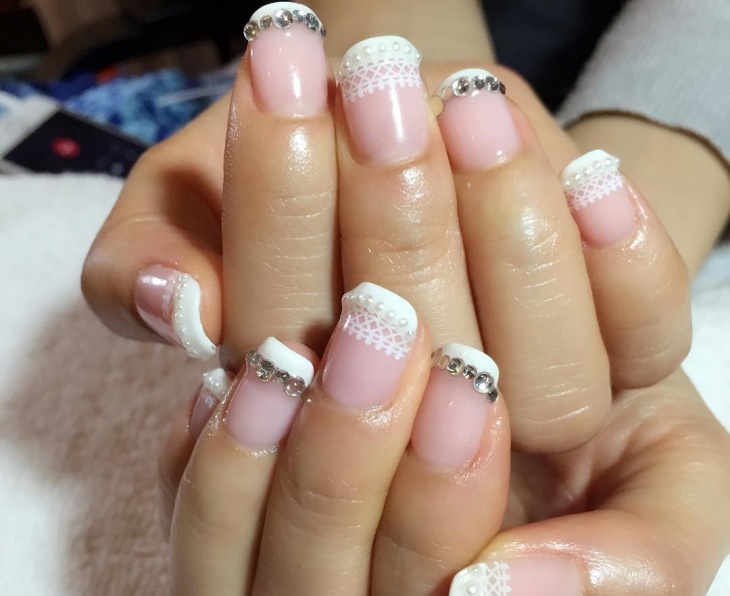 Painted in French manicure style, it is suitable for women of all age groups. 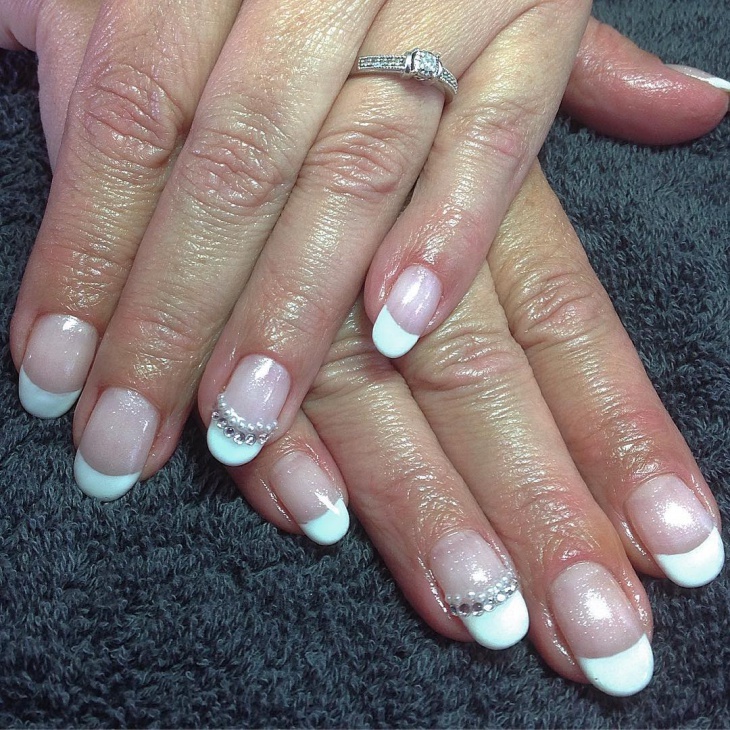 Just make sure that the length of the nail is long enough for the French manicure tidbits. 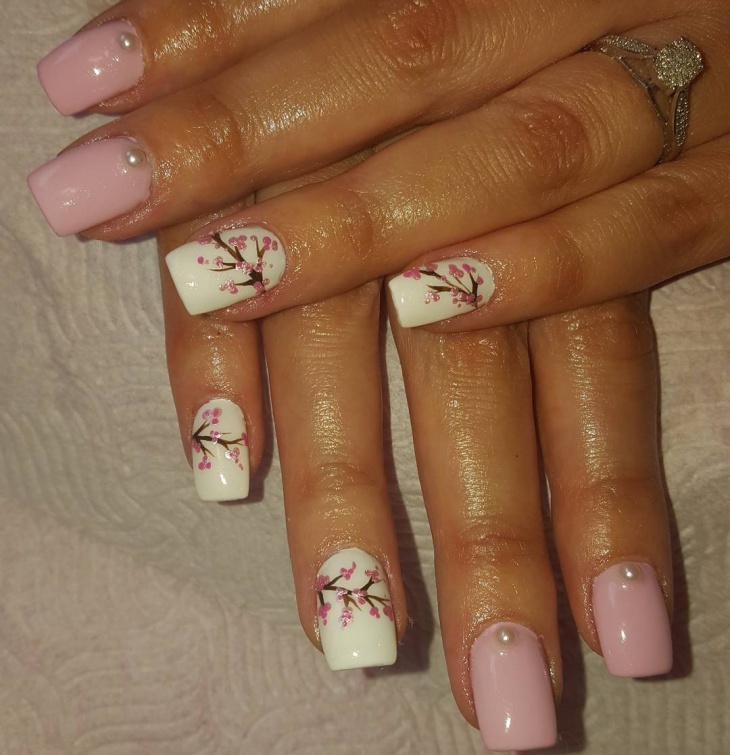 A very elegant design with a baby pink coat of nail polish looks lovely on anyone. The top of the finger nail is covered in doily like texture and polka of pearly dots glued on. This lacy texture randomized with metallic embellishments gives it a unique look. 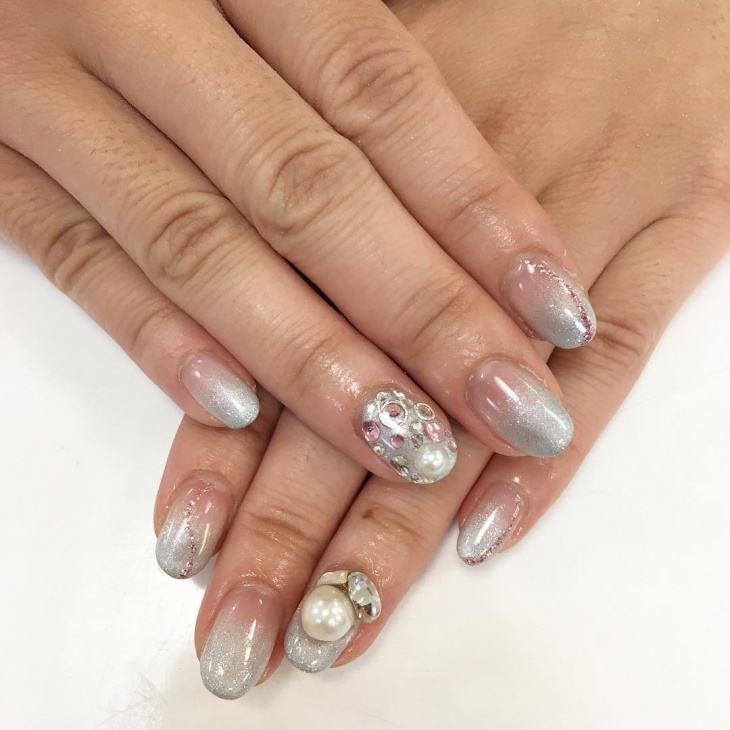 This is a highly stylized and an embellished nail art beautified with pearls and metallic finish. The motif is alternated with two different designs. One has a complete filling of the ethnic motifs, the others only have a tiny part of the motif. 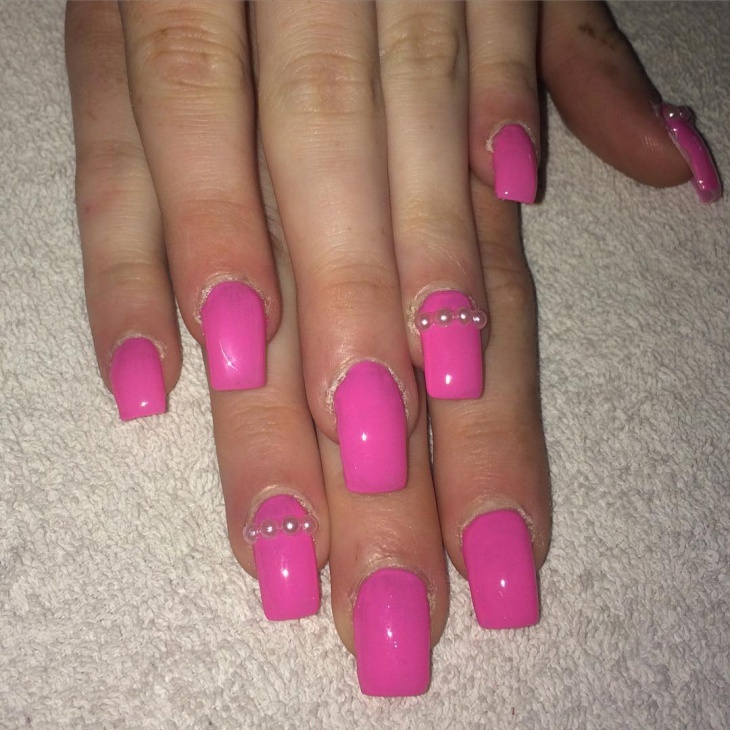 A baby pink color coat of nail polish and only two fingers have three big pearls glued on. It is suitable for women of all age groups. 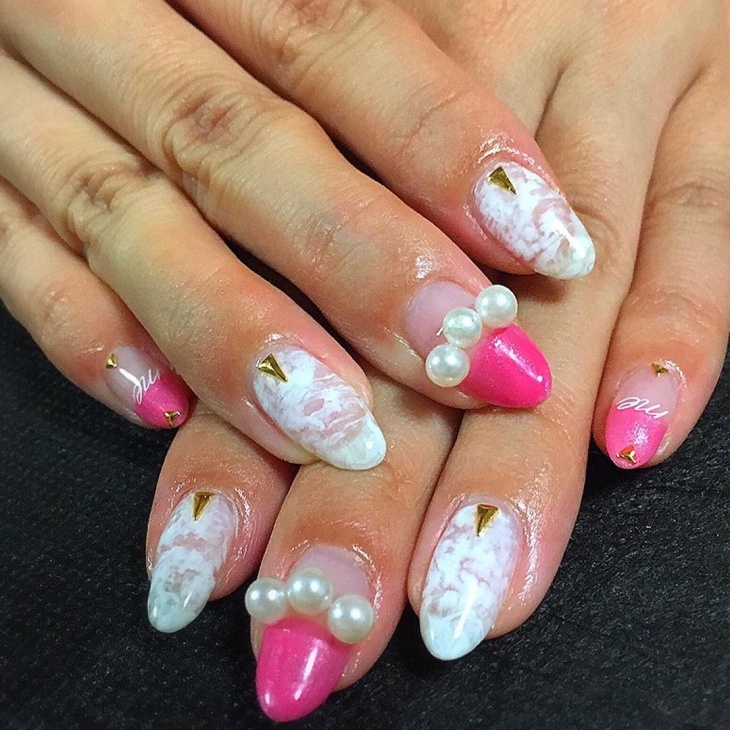 However, using pearls this big size for nail art looks a little out of place. 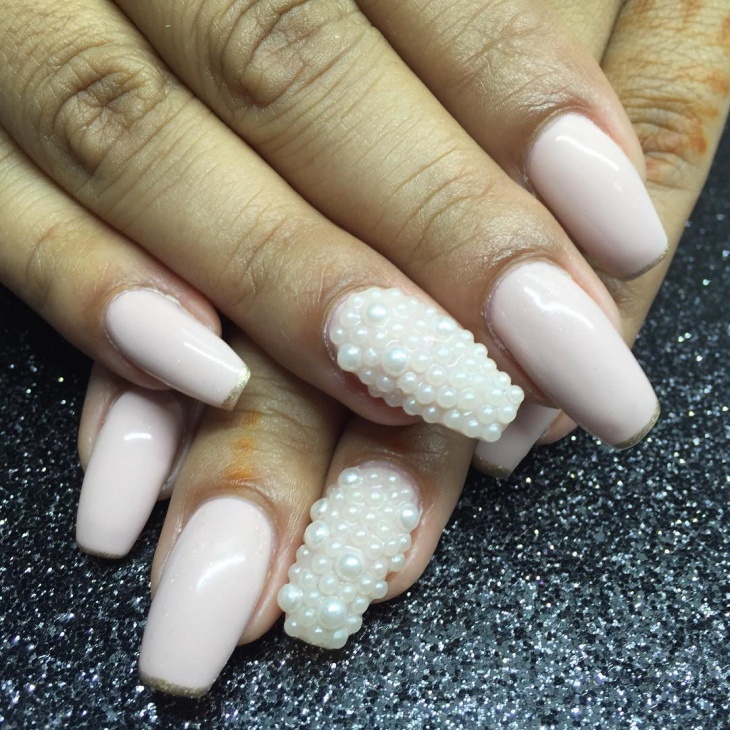 You can use smaller pearls to make it look elegant. 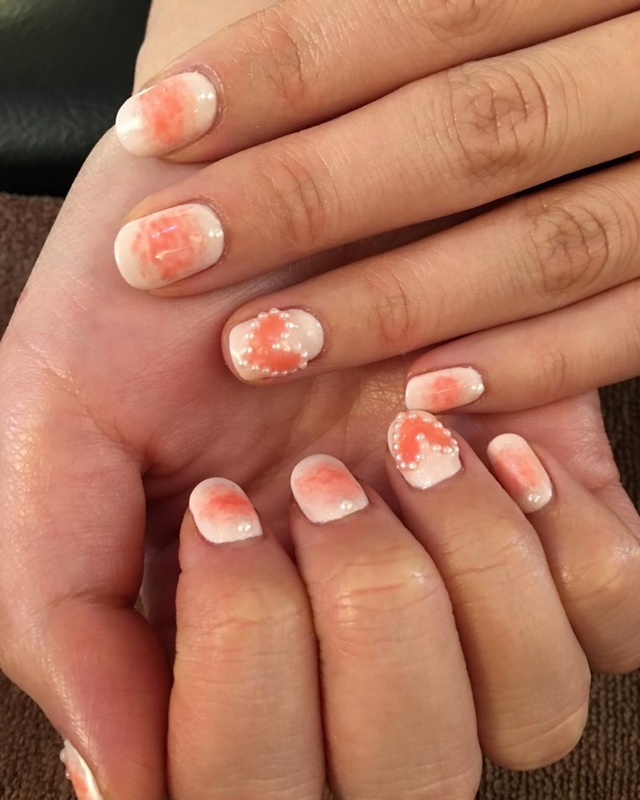 A peach color coat of nail polish with a bunch of pearls in white glued on. Also, is an element of a tiny metallic embellishment glued onto to this nail design. 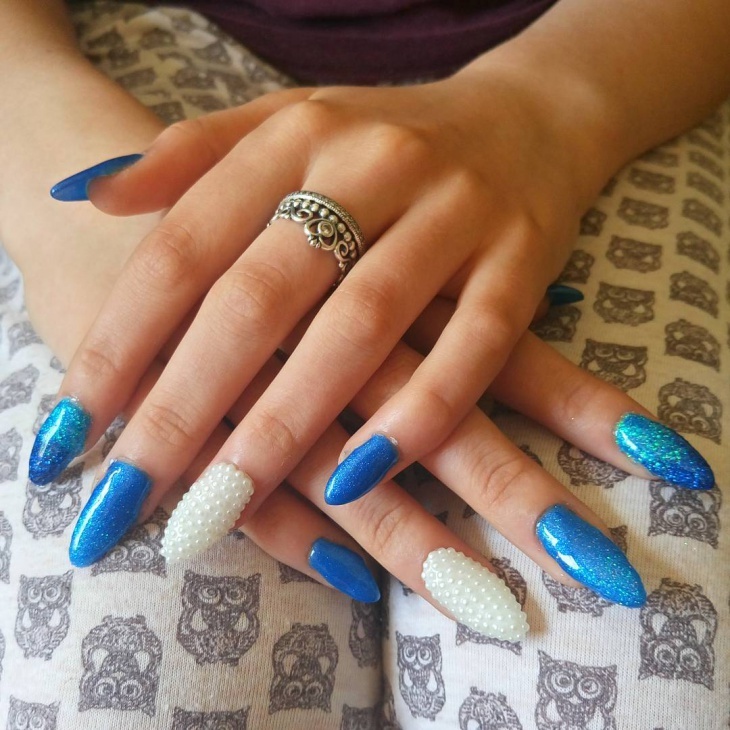 This is a rhinestone nail art that can be used for any oriental weddings. 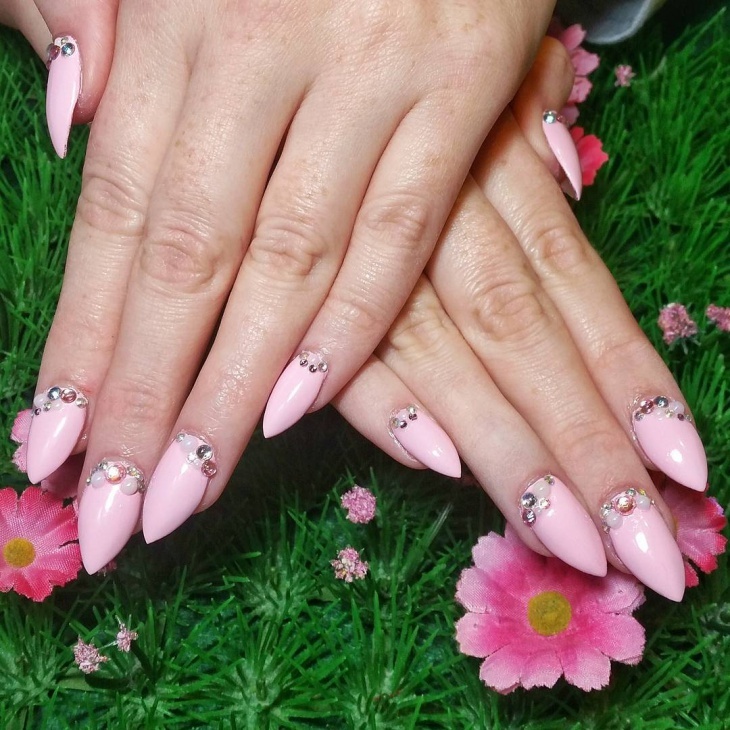 A white and pink textured nail art design suits young girls in their teens. 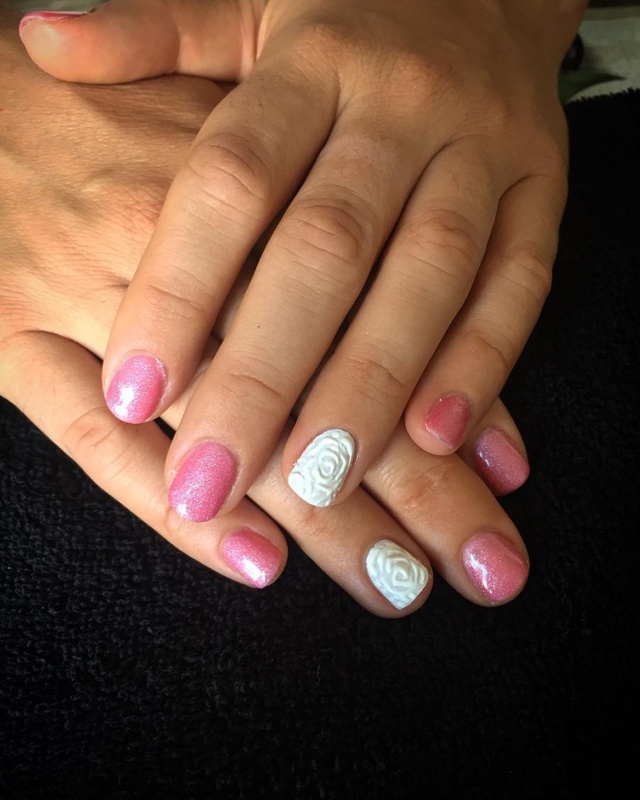 The white color is textured in the shape of a rose. The pink coat has glitter and suits on long and short nails. 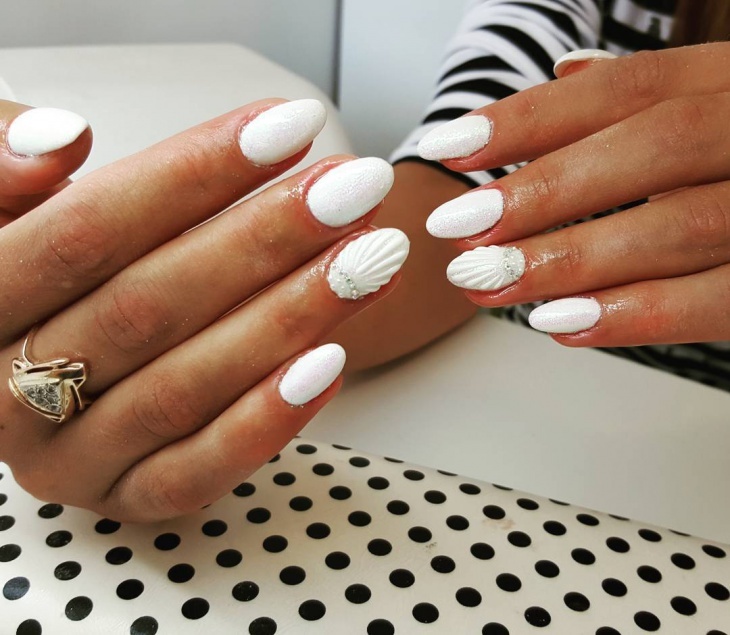 This white nail art design has a beautiful texture of shells. It also has tiny metallic embellishments to give it that subtle bold look sitting pretty in elegance. 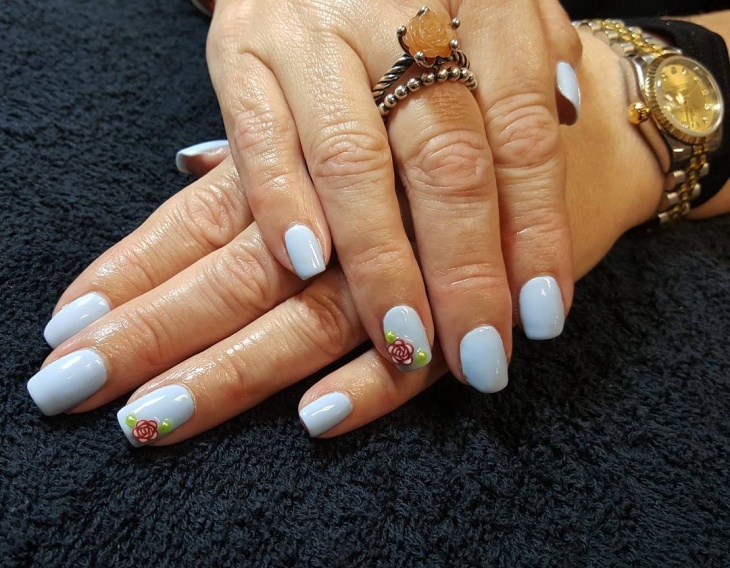 A beautiful nail art for the summer bride! 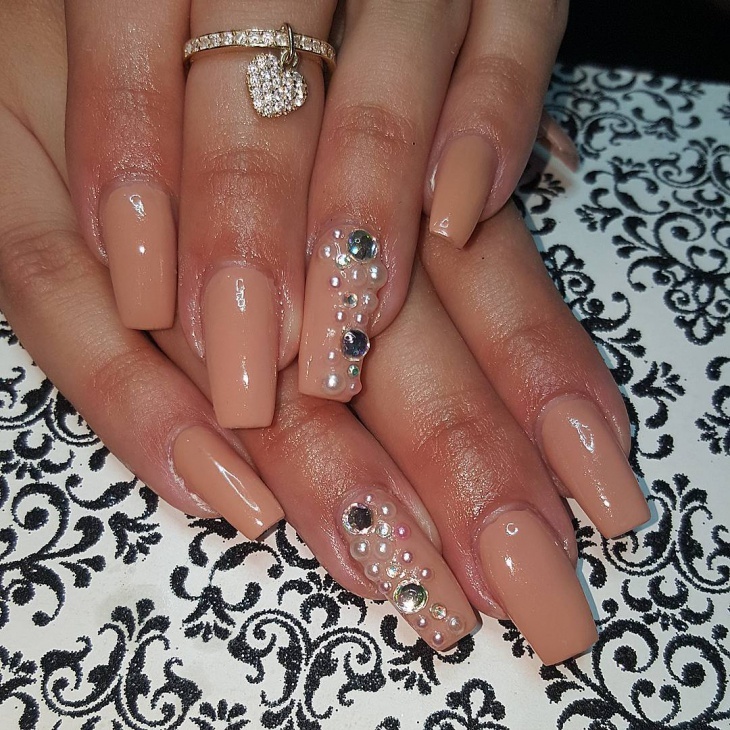 Shaded in skin color, this French nail art has tiny pearls and a metallic embellishment glued on to a few fingers. 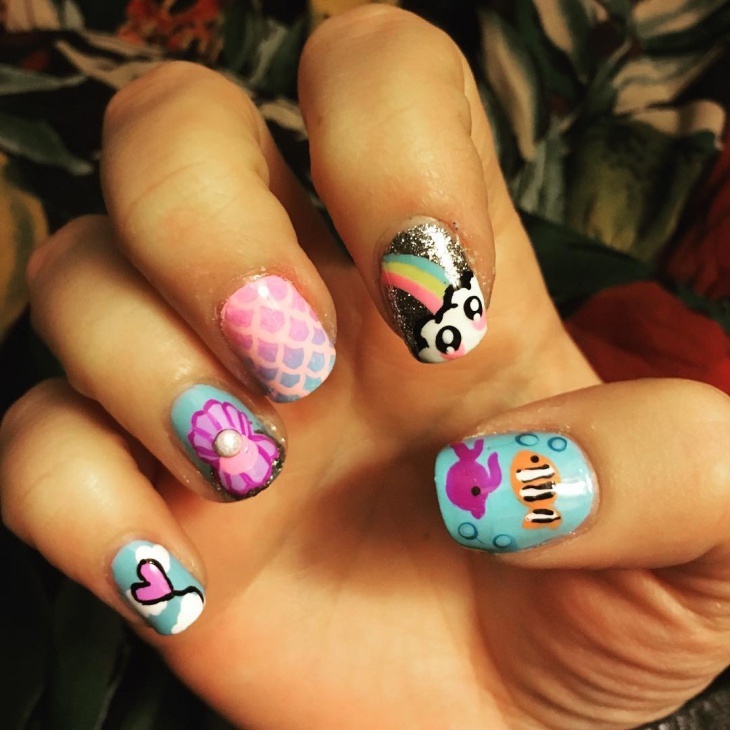 Brides, bridesmaids, go ahead and try this nail art design! It brings in finesse and a touch of class to the nails. 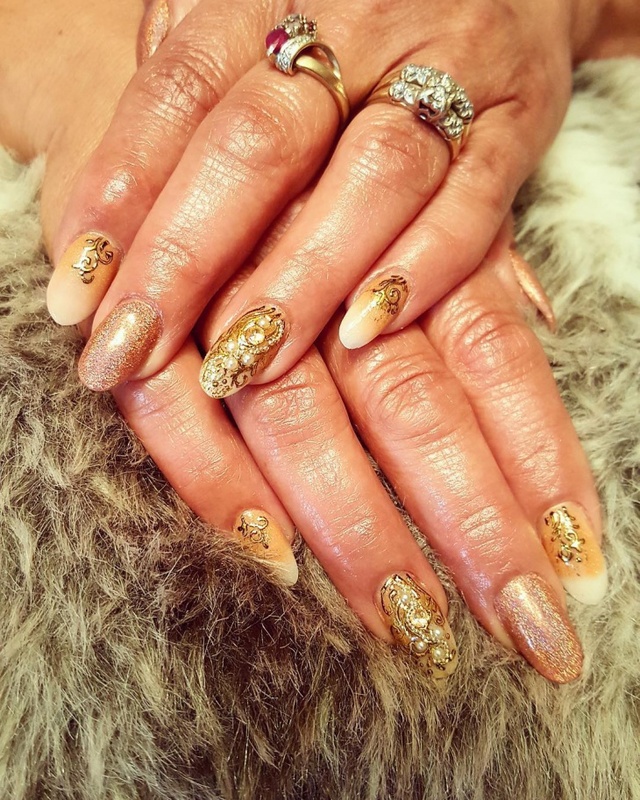 Lace nail art is so much in vogue; brides are simply vouching for it! For all the brides of all the age groups, these are the nail art designs that bring freshness to your hand. 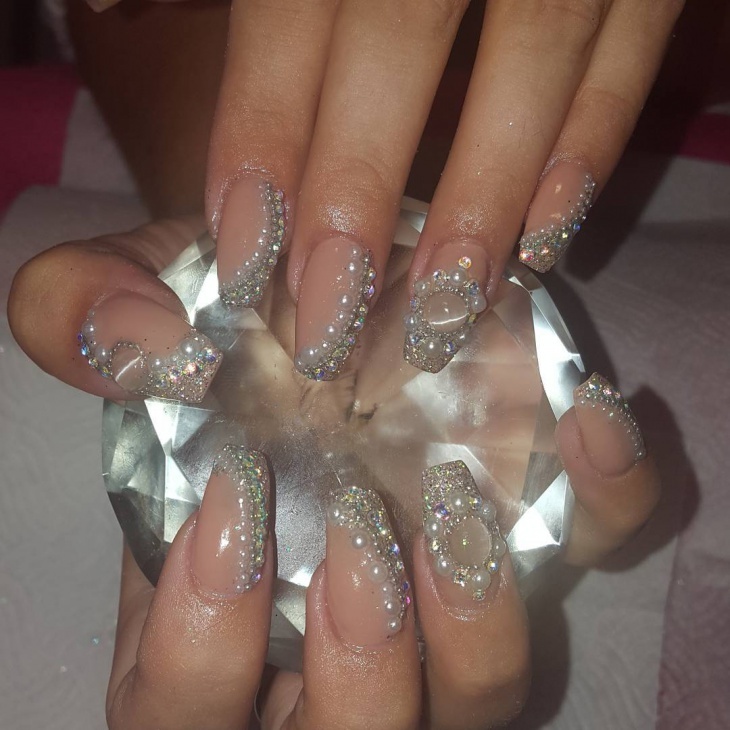 Imagine, what beautiful nails you have to show when your beau is going to put that diamond onto your fingers!